This is a die-cut curved Bishops Rough House Chocolates porcelain sign. 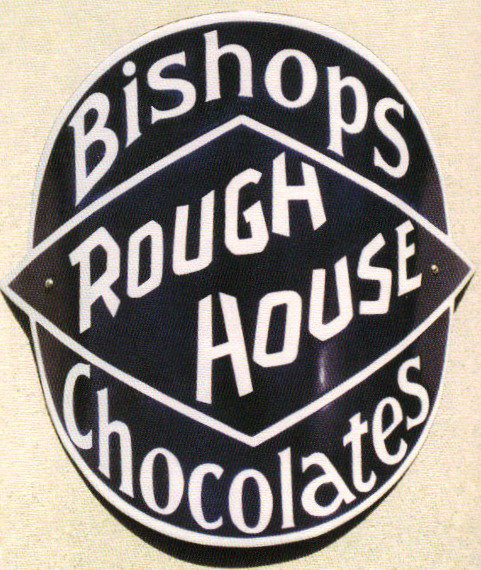 This particular Bishops Rough House Chocolates sign is predominantly navy with white text. It reads, “Bishops Rough House Chocolates”.